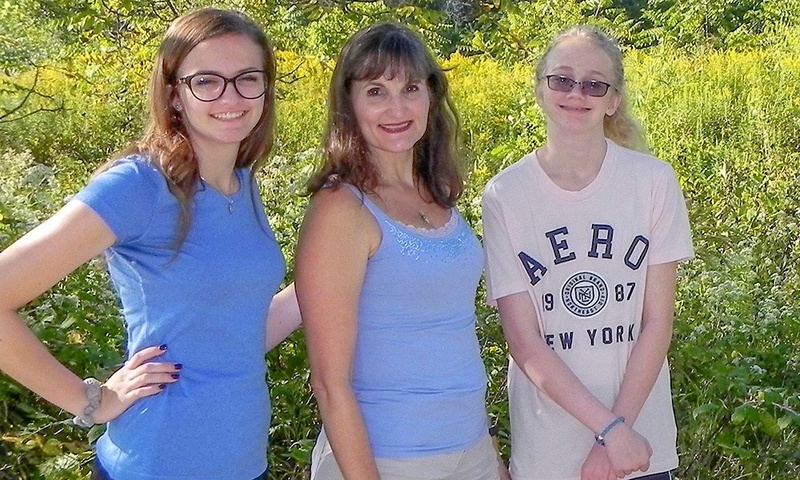 My daughters — Olivia, 16 and Hannah, 14 — were about halfway through summer, and I felt we were in a rut. It seemed like each day they fell into the same routine of summer school, swimming, shopping, going to a movie or falling back to tech time and social media on their phones if we didn’t have other plans. I was looking for ways to find a bit of balance, unplug, practice mindfulness and make some memories without spending too much money. A friend of mine posted on social media that she and her two daughters had completed a summer goal of walking/hiking 100 miles. Since our daughters are friends with each other, this motivated them and they suggested we try something similar. We decided to try to visit every forest preserve in DuPage County. We started our first hike at Waterfall Glen Forest Preserve in Darien and tried to visit four forest preserves a week until we checked all of the preserve trails off our list. Before we visited a preserve, we would read about it on the Forest Preserve District’s website and visitor’s guide so we knew the preserve’s history and points of interest when we visited. Admittedly, we were novices when we visited our first forest preserve, but we were confident explorers by the time we went to our last preserve. 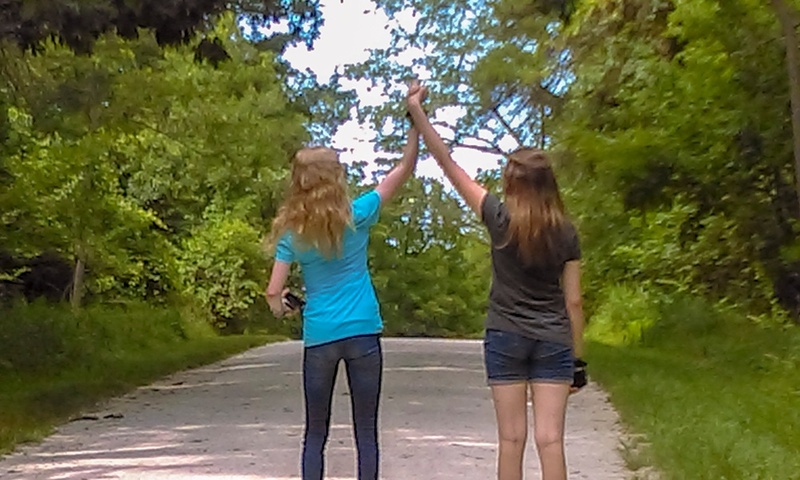 Olivia (left) and Hannah on a trail at the first forest preserve they visited last summer, Waterfall Glen in Darien. We typically hiked for an hour or so. One of our hikes was a struggle for all of us due to the heat, not bringing enough water and one of the girls wearing the wrong shoes, so we learned something with each outing. Highlights included bringing a friend hiking with us and spotting wildlife. During one hike, my daughters secretly packed a few old Barbie dolls & took pictures of them in various locations in the preserve. For me, I loved to see the differences between the forest preserves. Some are stunning with vast colors from native plants, others are thick and lush with trees, bushes and grasses, and some have lakes, ponds and wetlands to explore. I wanted my daughters to appreciate nature in a new, personal way. Initially, it took us a bit out of our comfort zone and was intimidating. I wanted them to see that even though we’re busy with school, family, friends and volunteering, we need to make time to practice mindfulness and experience the calming, healing effects of nature. When we started, the preserves were in full bloom with native plants. As summer faded, it was interesting to see the flowers die down and go to seed. We look forward to continuing to explore the preserves in fall for the changing colors and into winter to try snowshoeing and cross-country skiing. Before starting this, we weren’t outdoorsy nature girls, but now we look for outdoor opportunities year-round. Even though I’m still a novice, I’ve even subscribed to a women’s hiking Facebook page for further inspiration. I originally planned on our nature walks just to be a way to unplug and be mindful, but it’s done so much more, especially bringing me so much closer to my daughters. It’s also made me more conscious of our earth on a global level. We should all pay more attention to being good stewards and taking care of nature. In turn, we reap the benefits of health, well-being and mindfulness. 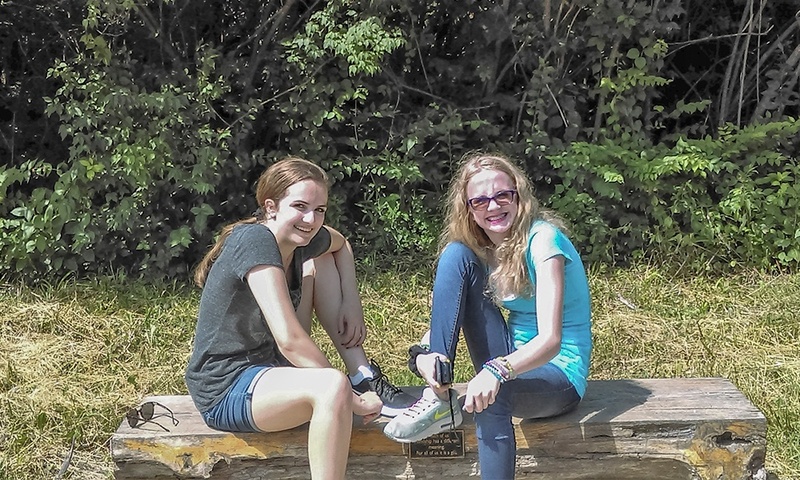 Hannah and Olivia take a break while hiking at Waterfall Glen Forest Preserve in Darien. I’ve always enjoyed the peaceful aspect of nature. I’ve always treasured the serenity of nature and looked forward to school field trips that involved nature. As a child, it was natural to be outside, exploring, catching lightning bugs in a jar and then releasing them, or gathering leaves from different trees for leaf collections for a school assignment. Unfortunately, as I grew older, I didn’t seek out nature in my teens and early adult years as much as I wish I had. It wasn’t until I had children that I felt something calling me back to the “grounded” feeling that only nature can provide. Read about the preserves on the website or visitor’s guide to get an idea of what to look for. Anyone — at any fitness level — can go out on the trails. Don’t rush it. Take pictures, compare the flowers, listen to the wildlife and watch the way they live. If I could start our quest over, I would have brought journals so we could write about our journey/treks. I have two favorite preserves. Green Valley because it's so close to home, the diversity of its native plants, and the scenic overlook. We went to the stargazing event on Sept. 15 & definitely plan to go back again as a family. My second favorite is Waterfall Glen. It was the first forest preserve we visited this summer. It seems to be the most diverse and we could easily spend a big part of a day exploring the area. It seemed to have the most wildlife of all the forest preserves we visited. 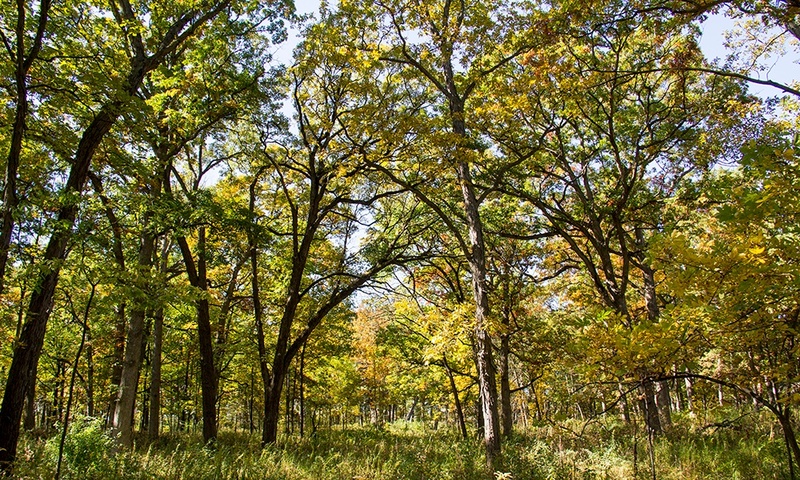 It's also the first forest preserve on our list of places we want to visit again. 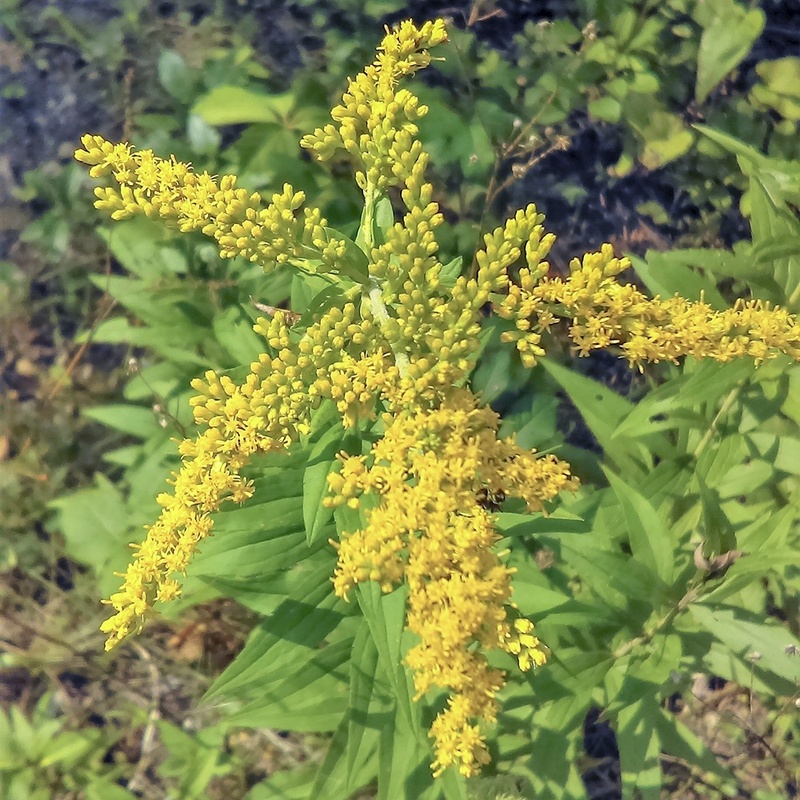 Goldenrod at Hidden Lake, the sixth preserve visited by the Nelson women this summer.